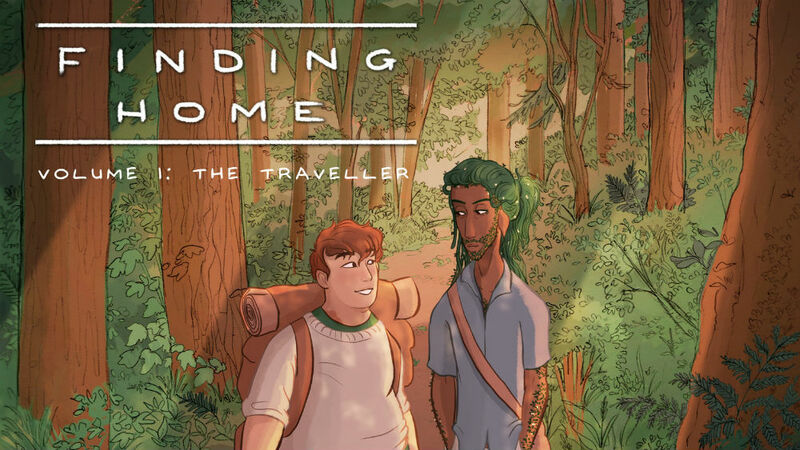 Making its convention debut at Thought Bubble, Hari Conner’s fantasy graphic novel Finding Home Volume 1: The Traveller combines rich landscapes with delightful storytelling. 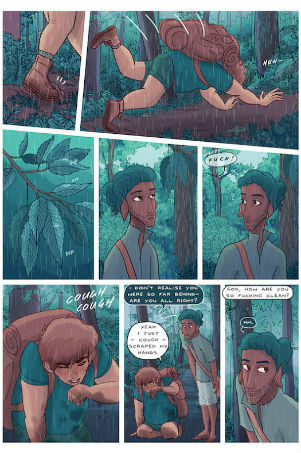 Based on the journey home of the dryad Chepi and the inn cook Janek from Hari’s previous work Nyx in the Overworld, this comic uses small moments to define the main character’s relationship as it slowly grows throughout – much like the forest backdrop to the story. 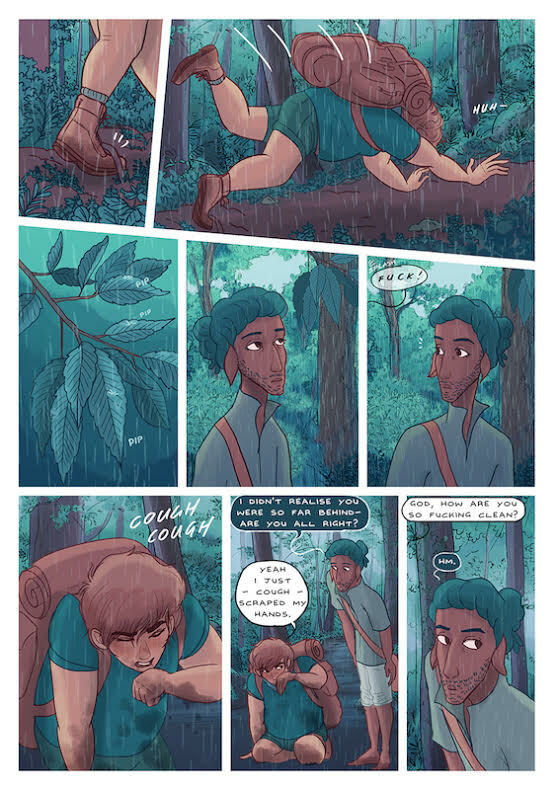 The book begins with a moment in Chepi’s past, creating the idea of the character’s relationships with humans and the negative impact they have had on him – this particular moment of the character;s life is peppered throughout and used to explore the motivation behind his hesitation in forming relationships. Being aware of this as readers allows us an insight into why, due to his reluctance, Chepi and Janek’s relationship develops fairly slowly. 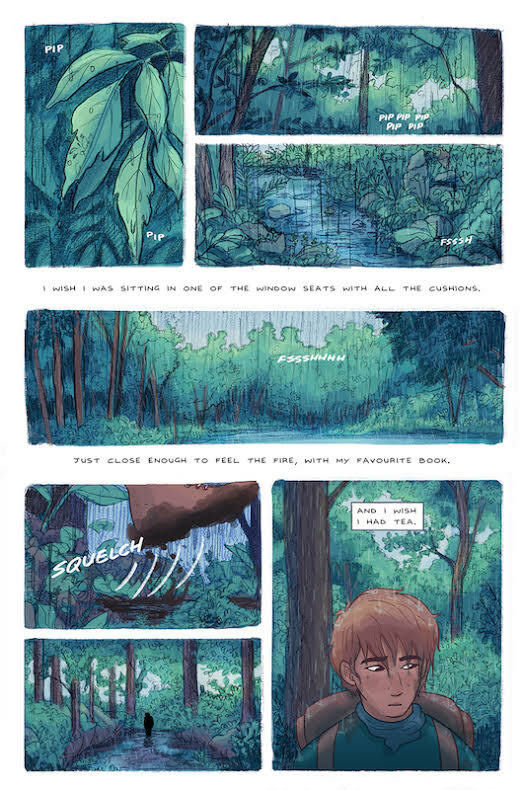 In contrast, Janek’s introduction in the story focuses on the character’s desire to go home, one of the main themes of the story; the pacing of this early section is perfectly in line with the narrative’s use of detailed imagery along with lettering to emulate the feeling of being outside in the rain as opposed to somewhere familiar. The story focuses on moments that are connected by an all-encompassing narrative. Parts of conversation, particular discoveries serve as catalysts in the characters’ journey – both physically and in terms of their relationship. The setting’s reliance on nature creates a sense of calm due to the feeling of growth it promotes. However, sometimes this is utilised in a way in which the unfamiliarity embodies foreboding and the unknown. Often, high pressure situations have a distinctly orange tone contrasting with the cooler tones of the rest of the comic. 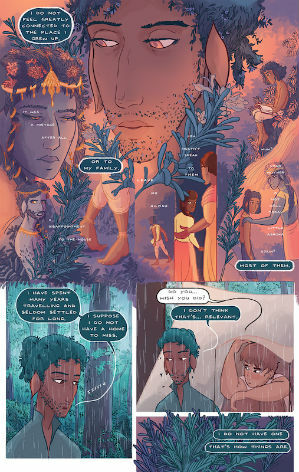 Magic threads its way throughout the story within personal interactions, guiding the reader through its context within the wider world. The chapter-dividers catalogue plants and their meanings, as well as containing various notes and letters owned by the character, giving further insight to their thought processes as well as providing small pieces of complementary information. At its heart the story is a romance; even if very little romance occurs in this volume the story is set up is such a way that the development of the relationship between the characters is inevitable. 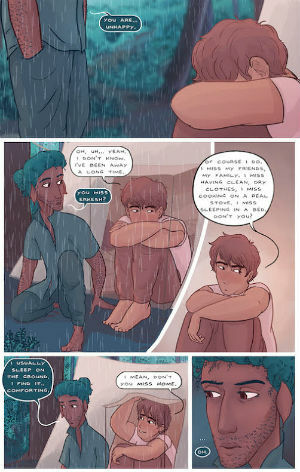 The dialogue flows between them in a fairly natural manner, and the fact that the characters care for one another is evident from the start – and the way that Conner plays with this relationship, expanding and suppressing it throughout, highlights the range of emotional relationships. 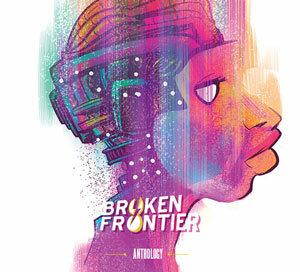 If you’re heading to Thought Bubble this year certainly try and pick up a copy!